There are no application forms. Applicants should describe their project and include a budget and a curriculum vitae. The deadline for requests to be considered at our spring Board meeting is March 31st. The deadline for our September Board meeting is August 31st. Money granted in a calendar year needs to be spent in the same calendar year. Thus grants made in the spring must be expended the same year. Grants made in September can be for either the same calendar year, or the following one, but not both. Successful applicants undertake to acknowledge the support of the Theodor Kerzner Q.C. Research Grants Programme in any publications which result, in whole or in part, from a Theodor Kerzner Q.C. Research Grant. 2017 – Sarah Hamill, City of London University, for work on the history of prohibition in Canada. 2016 – Virginia Torrie, University of Manitoba, for an investigation of the operation of the Farmers’ Creditors Arrangement Act in the 1930s. 2016 – Jacqueline Briggs, University of Toronto, for her work on the history of aboriginal peoples and Canadian criminal justice. 2013 – Patrick Connor, York University, for data entry assistance for a book on the history of crime and punishment in Upper Canada. 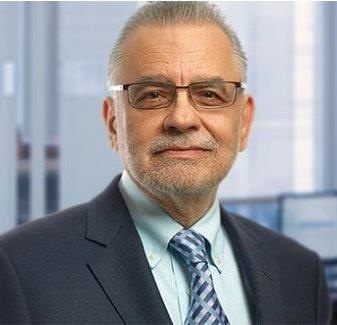 2012 – Professor David Schorr, University of Tel Aviv, for research on the history of Canadian water law. 2011 – Bradley Miller, a graduate student at the University of Toronto, for research on the history of Canadian extradition law. 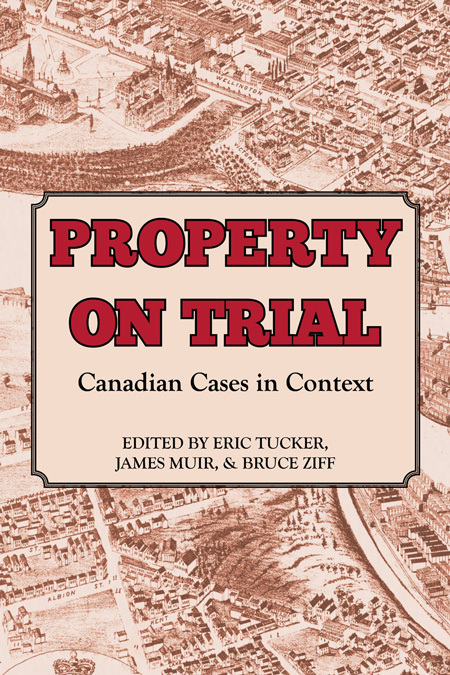 2010 – Professor James Muir, University of Alberta, for assistance in running a symposium in the history of Canadian Property Law (Note – this symposium contributed towards the publication of E. Tucker, J. Muir and B. Ziff, eds., Property on Trial: Canadian Cases in Context (Osgoode Society, 2012). 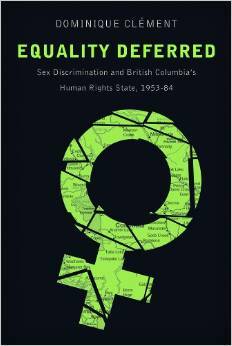 2010 – Professor Dominique Clement, University of Alberta, for research into the history of the British Columbia Human Rights Commission. 2010 – Coel Kirkby, a graduate student at Cambridge, to undertake research at Library and Archives Canada. Some of our grants have led to Osgoode Society publications. This is one of those publications – see the grants awarded in 2010.